My kind of hang out joint is the type where you can both just chill and enjoy great honest food. Surry Hills has an abundance of these places. There’s a new joint that has recently opened and aint nothing like it in town at the moment. 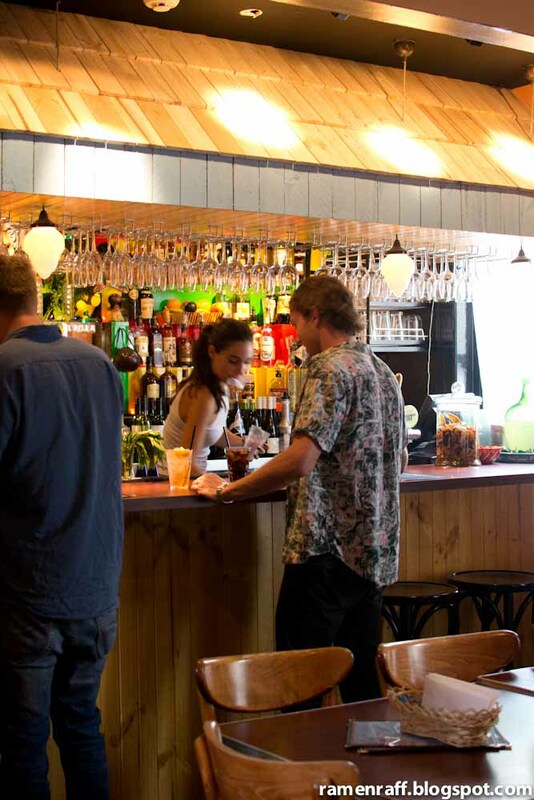 It’s a restaurant and bar that’s full of “feel good” vibe and food that comforts the mind, body and soul. I’m referring to the Jamaican themed Queenie’s. Yaman! 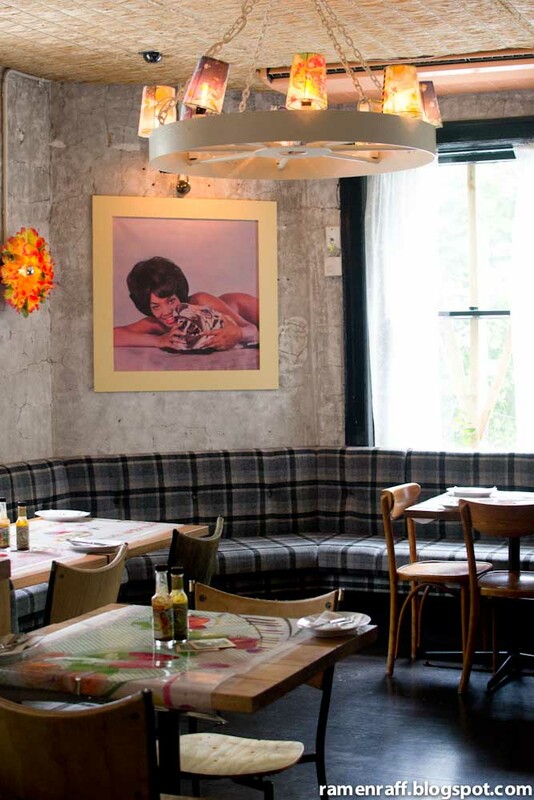 Queenie’s is an 80-seat restaurant located above the renowned Forresters Hotel (corner Riley and Foveaux Streets), in Surry Hills. 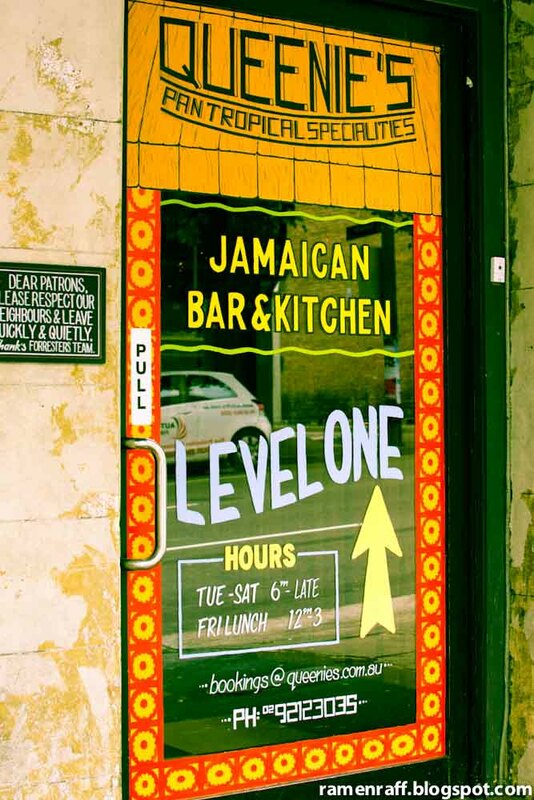 As mentioned before, the theme of the place and food is Jamaican. What’s even more exciting is that the menu was created by one of the coolest chefs in Sydney, Jamie Thomas. 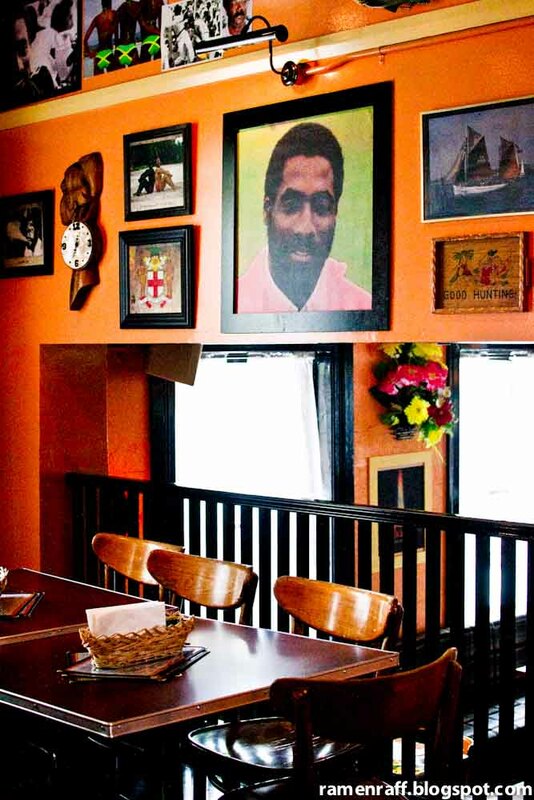 When I think Jamaican, first thing that comes to mind is “laid back” and that’s exactly the type of atmosphere at Queenie’s. The setting is vibrant, rustic and a little bit contemporary urban. 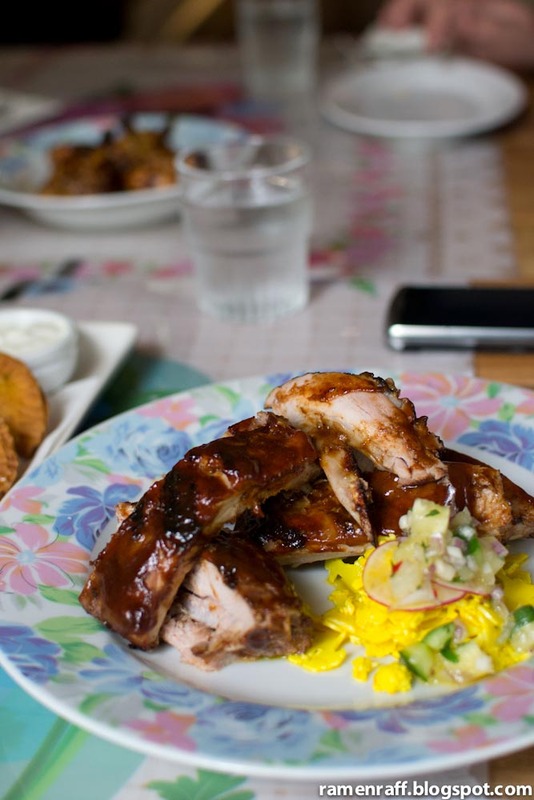 The bickle (Jamaican slang for ‘food’) here is so awesome that it makes my soul groove. The reggae tunes playing in the background surely got me into chill out mode. It was a catch up lunch with my Ramen League crew, so we ate up a storm! 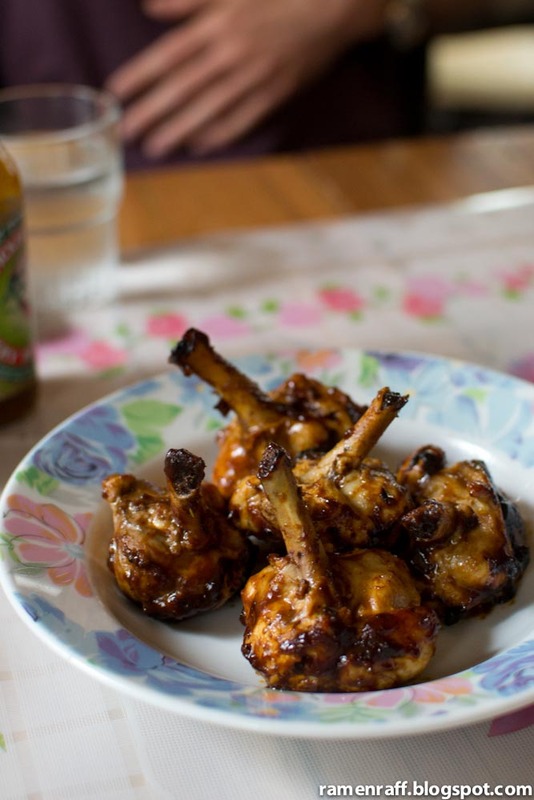 The essential condiment for every Jamaican dish is jerk sauce. 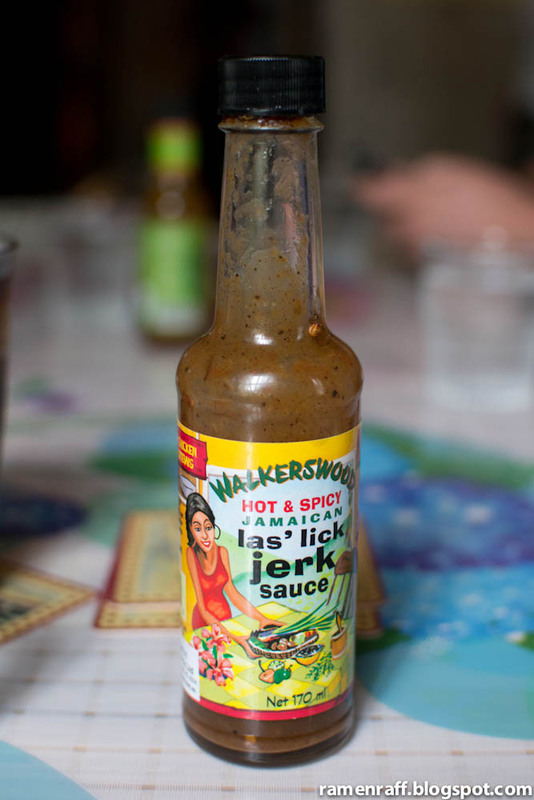 Despite the amusing name of this particular one, the sauce was perfect as a dip for your jerk chicken or sweet potato fries. It has a spiced vinegar flavour with hints of garlic and pepper. Warning, it is very addictive! For those who are not familiar with jerk spice, it is a commonly used spice mixture in Jamaican cuisine. The curried oxtail patties ($14) were great to start with. 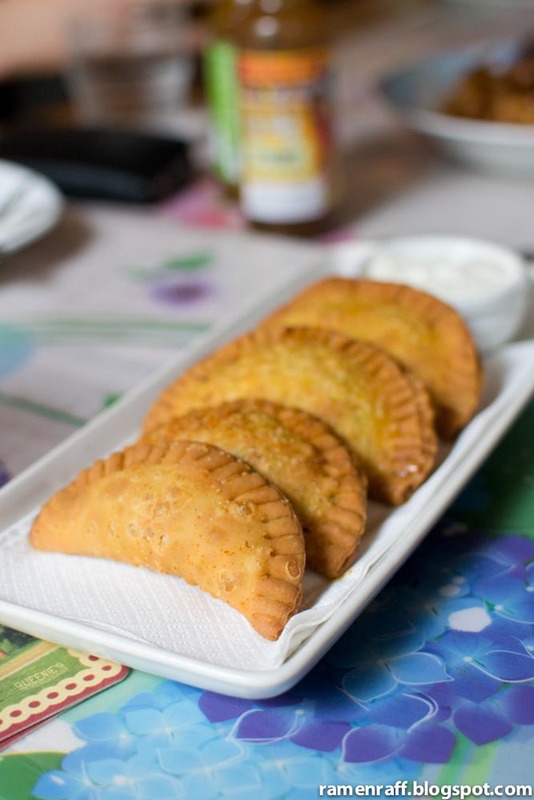 It was like crispy fried empanadas with nicely spiced yellow curry and tender oxtail inside. The yogurt dip goes well with the curry flavour. The complimentary calypso coffee pork ribs ($15) and only available for dinner) were totally awesome! It was so tender that the meat was falling off the bone. The barbecue sauce was tangy and slightly sweet. Towards the end of every bite, smoky taste emerges. The pickles on the side, which includes cauliflowers, brings balance to the dish. I was told that pushcart chicken wings ($14) were really good. My friend Tonkotsu Bexx described the taste tangy and smoky. 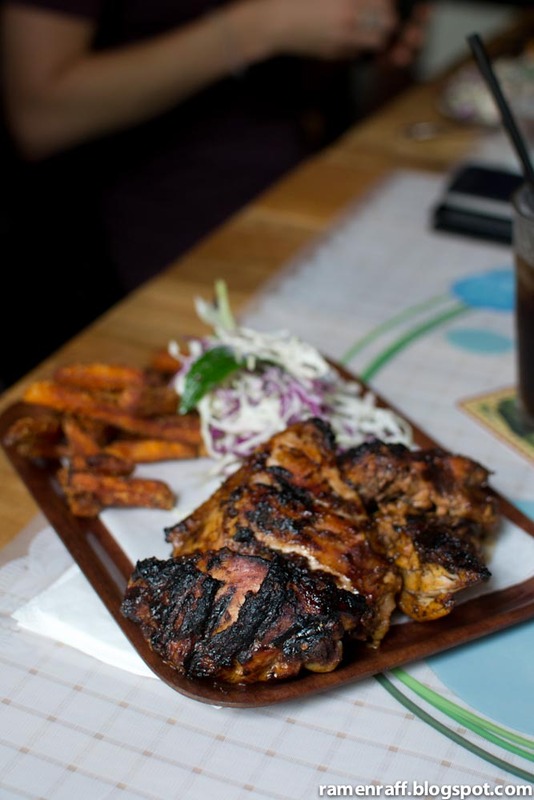 I had a bit of taste of the jerk chicken with jungle slaw and potato fries ($18) and I must say that it was amazing. I even noticed that most tables ordered this item in particular. The combination jerk spice and smoky flavours gives this dish a lot of character. I also enjoyed pouring some jerk sauce on it. I can’t get enough of that jerk sauce. My main event was the fried pork burger in brioche bun with sweet potato fries and spiced mayo ($16). The pork had a super crispy spiced panko and coconut crumb around it and inside was meat that was cooked perfectly with its natural flavoursome juices intact. The brioche bun was also fluffy and buttery. A bit of jerk mayo completes the burger and makes it a champ! 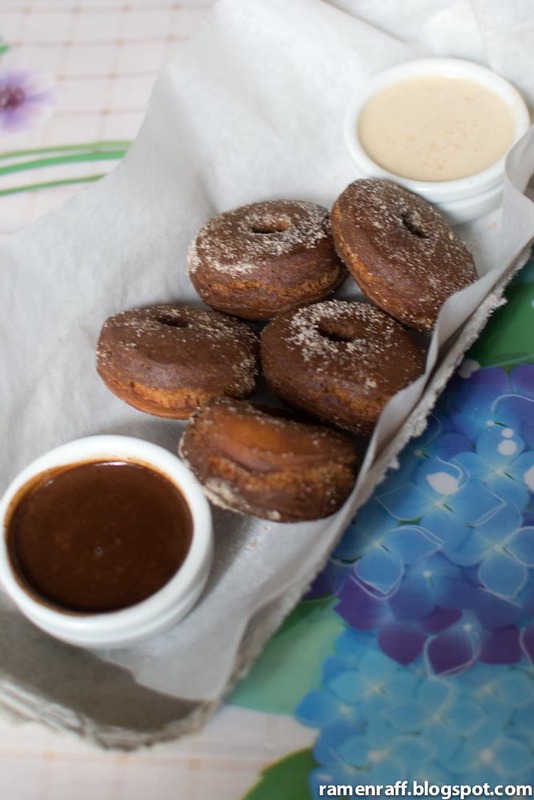 Last but not the least was the Kingston donuts with jerk custard and chocolate sauce dips ($10). The donuts had crispy crusts and were soft inside. My absolute favourite between the two dips was the jerk custard. It had a milk cinnamon taste at first and then the jerk spice kicks in right at the back of the palate. Best way to end our lunch! 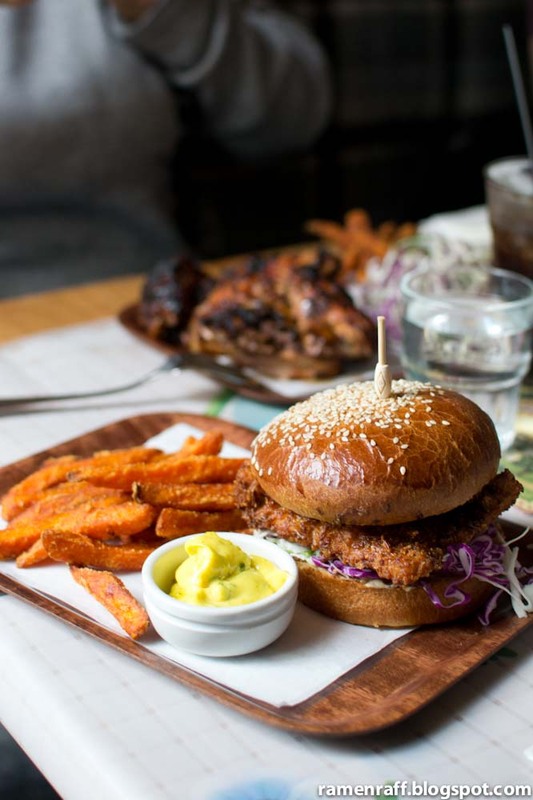 Big up to Chef Jamie for giving Sydney another fantastic range of dishes to fall in love with! 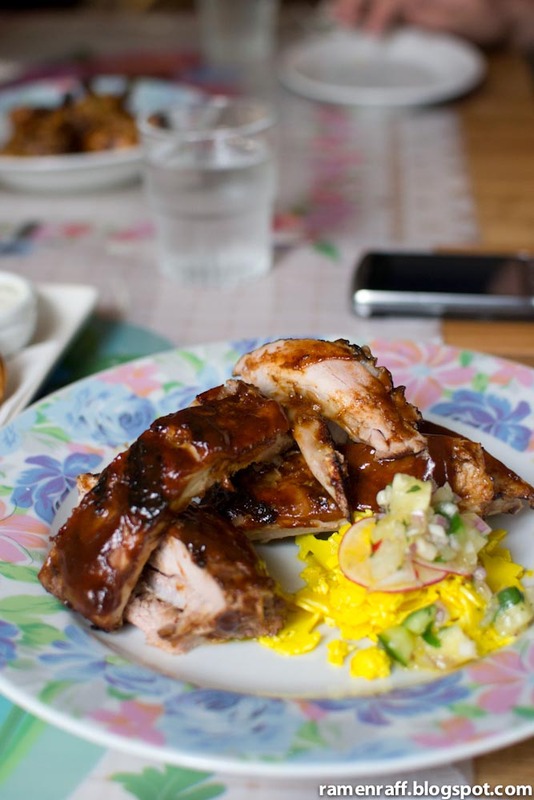 Queenies is the place for exotic comfort food and an overall “feel good” experience. The food servings were quite generous too. 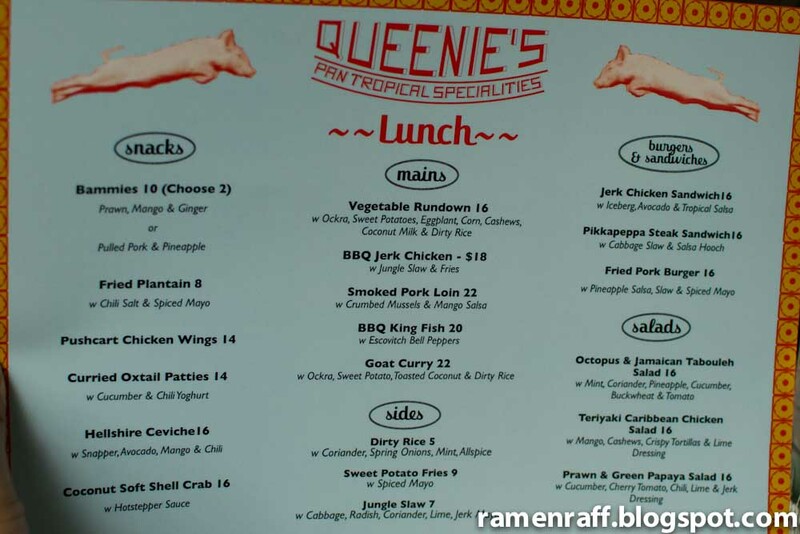 I can’t wait to get my jerk on again at Queenie’s.